We will be selling 1 million pixels at 10p each in order to raise £100,000 for Sue Ryder. 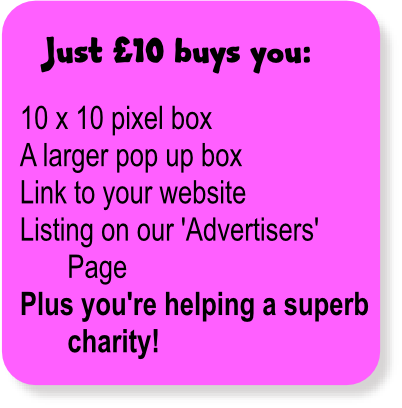 You can buy multiples of 100 pixels in a 10 x 10 box for just £10 - and the whole £10 goes to Sue Ryder. And of course buy as many boxes as you like!!! It’s all to help Sue Ryder.